NE870 is an industrial router which also acts as a firewall. The router/firewall can be utilized to segment a system in to network areas and also security zones. 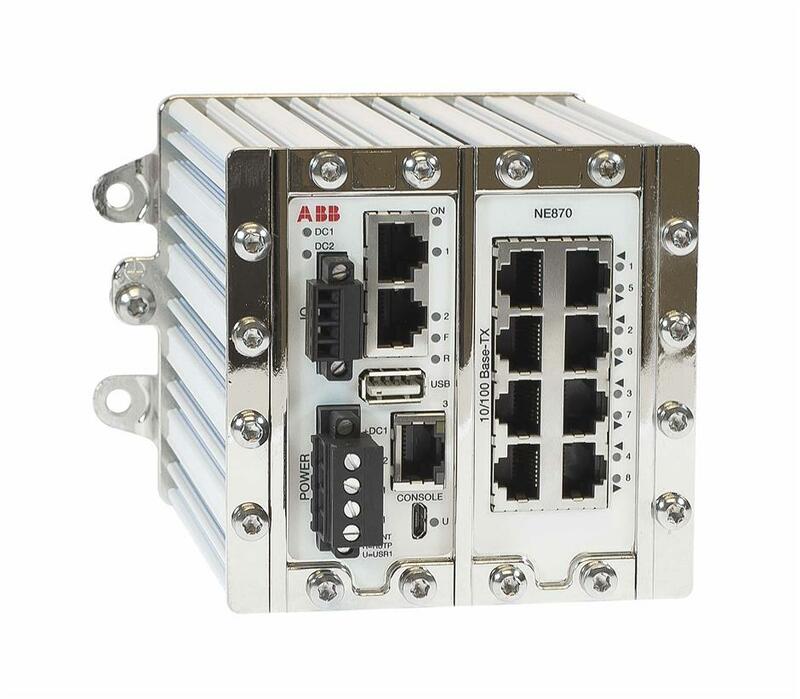 NE870 is primarily intended to be used to separate client/server networks and control networks, to separate different control and safety networks, but also to create RNRP tunnel areas between RNRP networks. The concept of security zoning is described in IEC62443. In short, security zoning is a method to segment a system into zones with different security levels. A security level is complied with by implementing a combination of security counter measures. The reason why it potentially could make sense to divide a system into security zones, which comply with different security levels, could be that the risk for different parts of the system varies. Another could be that the impact of a potential incident varies. NE870 supports RNRP (Redundant Network Routing Protocol), which enables 800xA to have two physically separate networks, and thereby avoid single point of failure. • Back end holds a casted DIN-clip for stable mounting on a DIN-rail.